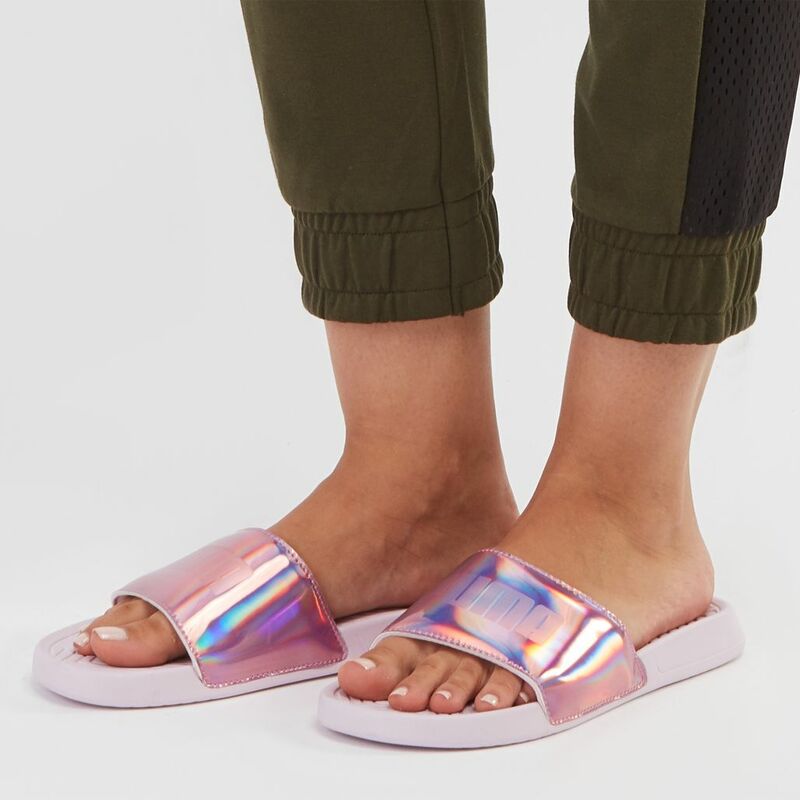 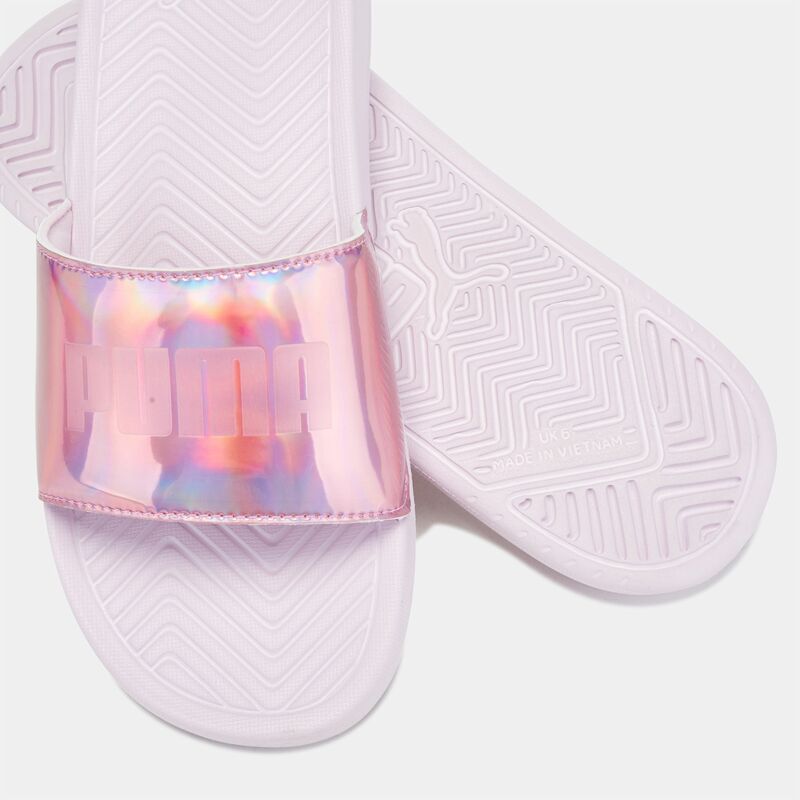 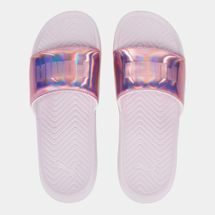 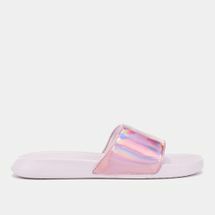 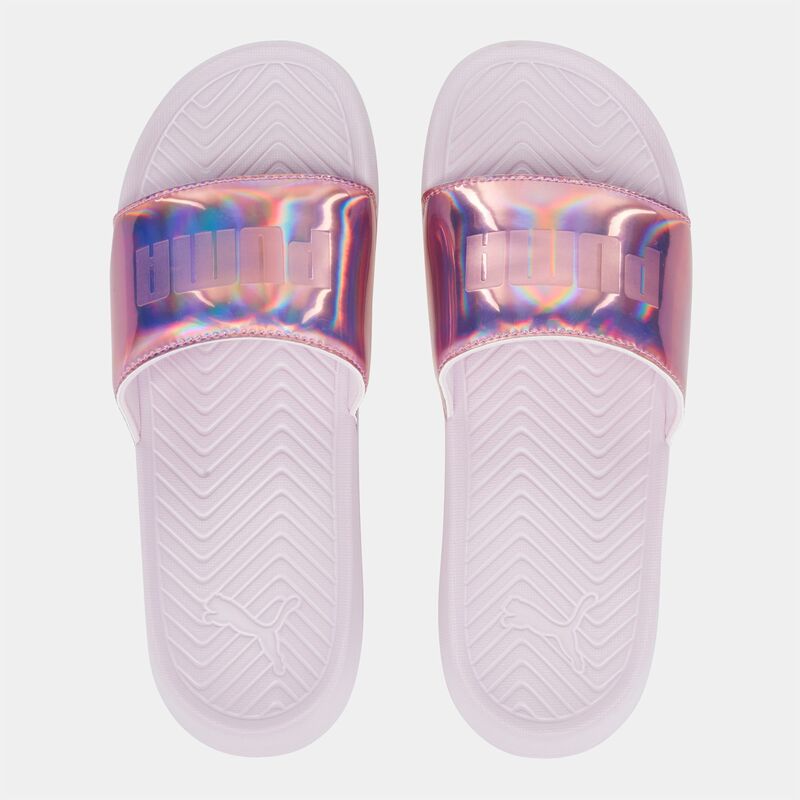 Laidback days are only complete with the PUMA Popcat Slide Sandals for women. 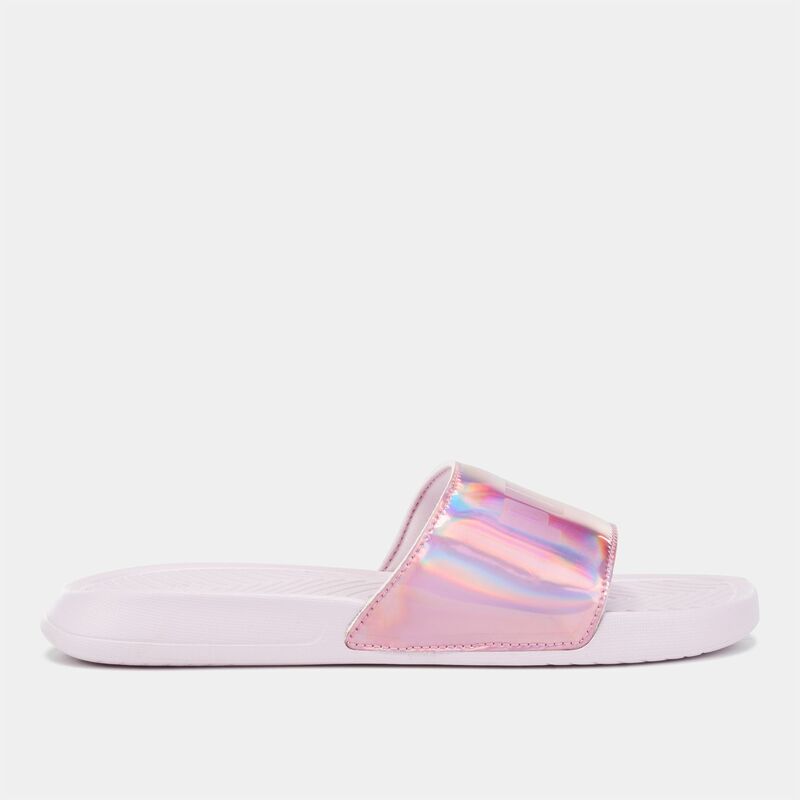 Featuring a wide toe strap with contrasting branding, they slip on easily, offering comfort thanks to the textured, cushioned footbed. A durable rubber outsole provides grip as you kick back and relax on your day off.